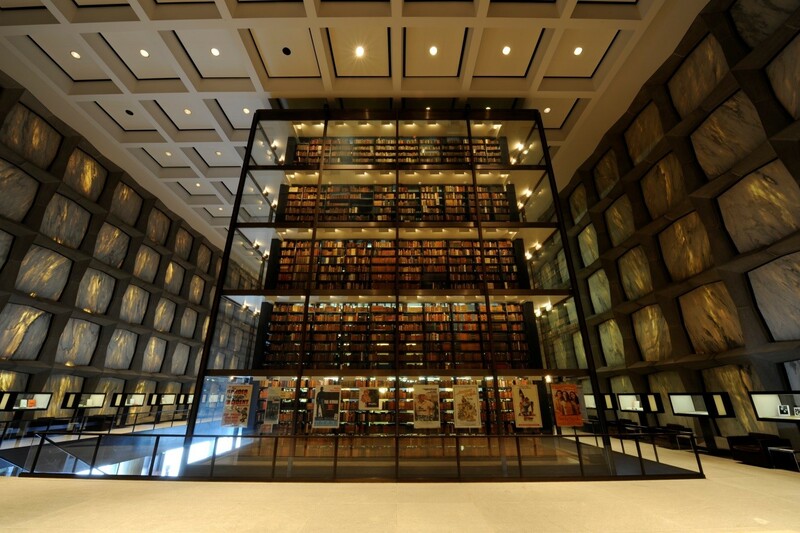 Home » Research Postcards » Sarah Hamilton, New Haven, CT: What’s the Use of Cursing? Sarah Hamilton, New Haven, CT: What’s the Use of Cursing? By Sarah Mary Hamilton in Research Postcards on 22nd May, 2017 . It’s unusual for British universities to be in a position to buy medieval manuscripts. Yet the recent publicity given to the discovery of a unique leaf from the Sarum Ordinal printed by William Caxton in the 1470s amongst the binding fragments of various manuscripts and early printed books purchased by the University of Reading in 1997 testifies to the public interest in such materials. The Beinecke Rare Book and Manuscript Library at Yale University, on the other hand, is in the fortunate position to be able to purchase entire medieval manuscripts as they come to the market. 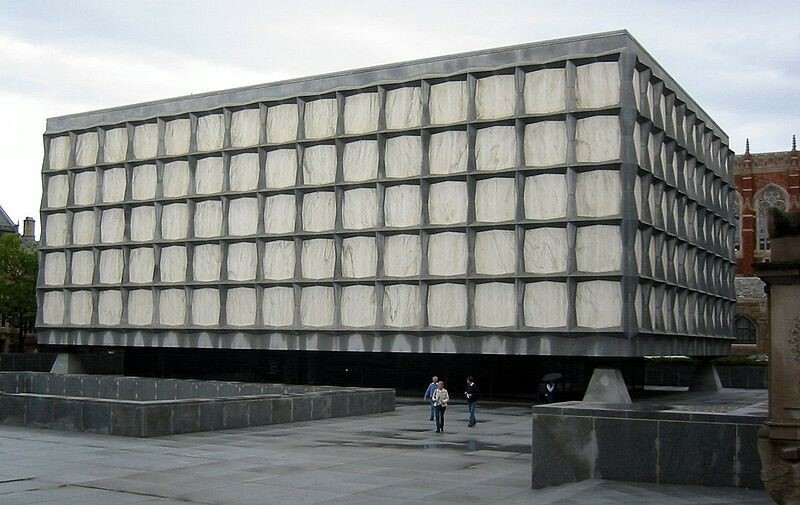 And I was lucky enough, when visiting Yale to deliver a paper to a conference on Medieval Rites: Reading the Writing last month, to consult one of their more recent purchases, Ms 1172, in the congenial surroundings of this beautiful modernist building. Ms 1172 is a chapter book owned and used by the eleventh-century cathedral chapter of Beauvais. It includes rites for the sick and the dying, two sermons to the Virgin, and a copy of Usuard’s martyrology; obit notices for various members of the Beauvais community were added in its margins over the course of the following century. 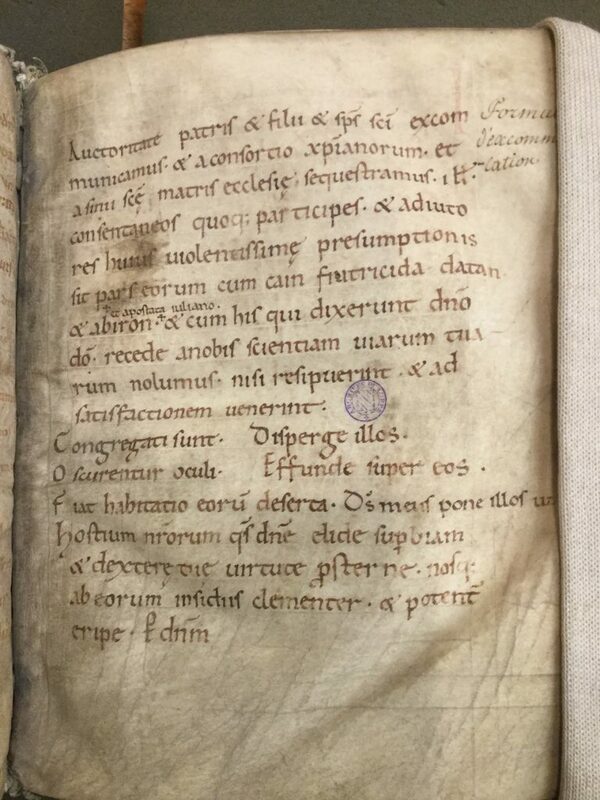 Amongst the texts added in a slightly later eleventh-century hand is this text of an excommunication formula followed by antiphons, responses and a prayer. Medieval excommunication, that is exclusion from the Church and Christian society, has its roots in the biblical, classical and early Christian pasts. An episcopal prerogative, the declaration of a formal excommunication sentence was accompanied by curses in a formal process of anathema or cursing using formula like this one, which was added later on a blank folio just before the start of the martyrology. I am currently collecting examples of such supplementary texts as part of my research into the afterlife of the Carolingian penitential state through a study of the records of excommunication rites and episcopal culture in the tenth and eleventh centuries. To date I have found some 30 examples of similar ad hoc formulae in manuscripts written across northern Europe and the former Frankish Empire in the tenth and eleventh centuries; ad hoc because most of them are different from each other; no doubt others exist, as yet unidentified by earlier cataloguers. Most of these, like this example, were added into the manuscript some years after it was first copied. They make for an interesting corpus because, although the Carolingians practiced and codified excommunication, they never thought to record its liturgy. This particular example interests me as it is one of only four examples I know of when such an ad hoc excommunication formula was integrated into a fuller service. My research suggests all four of these examples are eleventh-century and they all have links to northern France. The text of the excommunication formula in the Beinecke manuscript is unique, but seems to have been improvised from a stock of phrases, as these can be found individually across various other examples. The service which follows is similarly made up of commonly circulating texts, all of which have their roots in the ninth century. The initial antiphon, Congregati sunt (inimici nostri) (Our enemies are gathered together), and response, Disperge illos (in uirtute tuo) (Shake them so that you know it is none who fights for us than you, Our God) comes from the feast of Maccabees on 1 August, and appears in the earliest chant manuscripts from the tenth century. The prayer, Hostium nostrorum quaesumus domine (O lord we pray put down the pride of our enemies and overthrow it with the strength of your right hand), is from the ninth-century Carolingian collection, the Hadrianum Sacramentary, specifically from the ‘Mass in time of war’. By the later Middle Ages this particular Mass set had come, at least at Rouen, to be specifically associated with protection against enemies, being rubricated ‘Contra hostes’. Quite why the canons of Beauvais recorded this rite in their chapter book is a question for another post. But it is worth pointing out here how texts like this can help to investigate wider questions. These include one puzzling those who work on liturgical texts: why, in an age where liturgical performance was largely dependent on memory, churchmen recorded in writing certain rites. It can also contribute to research into the transition between the rational, well-recorded ninth-century world of the Carolingians and the seemingly more ritualistic, less well-recorded, more ritualistic post-Carolingian world. The afterlife of the Carolingian world is currently the subject of both the HERA-funded project, After Empire: Using and Not Using the Past in the Crisis of the Carolingian World, 900-1050, and a more informal work of a larger network of scholars, The Transformation of the Carolingian World: Plurality and its Limits, 9th to 12th Centuries. By highlighting how rites like this one bridged the divide between oral performance and written record, and at the same time represented a real change from Carolingian to post-Carolingian practice, we will begin to investigate these areas.